A few years ago, a Boston TV station did a show about the slow disappearance and repurposing of old New England barns. One of the barns featured, in Woodstock, was a two-story clapboard specimen from the mid-1800s. Today, musician and composer Harry "Sonny" Saul owns it. The structure probably housed animals and hay at one time, but for the past 30 years it's been Saul's rare books shop, Pleasant Street Books. Attention from the TV show caused Saul to reflect on his anachronistic lifestyle. He realized that he sold old books in an old barn and played old-fashioned music. "I've cornered the market on this stuff that's going out of style," he says with a chuckle. "But I'm still here, so, somehow, it still works." It does indeed. A visit to Saul's shop is a sensual experience on numerous levels, from the clothbound books lining the walls and the jazz playing on the stereo to the corduroy-covered wingback chairs in which visitors can sit and peruse their finds. The light inside is warm and natural, and the Ottauquechee River burbles nearby. James Sturm, a graphic novelist and cofounder of the Center for Cartoon Studies in White River Junction, asked Saul to write music to accompany his wordless children's book, Birdsong. The book follows the style of etoki, the ancient Japanese art form where images are translated aloud by a storyteller. Utterly lacking text, Birdsong is replete with expressive human and animal characters and richly detailed settings. Saul and Sturm did their first performance of Birdsong in March at ArtisTree Community Arts Center & Gallery (also in a renovated barn) in South Pomfret, in front of 60 people. They'll perform it again during the Bookstock Literary Festival, July 29 to 31, in the Norman Williams Public Library in Woodstock. Saul, 67, hails from Atlantic City, N.J., a "lucky thing for a human," as he puts it. Lucky for Saul because, back before gambling took over the eight-mile seaside strip, he could roam through the Victorian-era hotels and hear jazz legends including Duke Ellington and Count Basie playing live shows. They provided his introduction to good music and revealed to him a world his parents didn't know enough to show him. 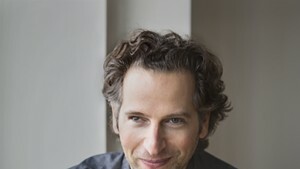 Saul took piano lessons as a child, and the exposure to jazz gave his playing purpose and focus. Saul attended Haverford College, a Quaker school in Pennsylvania. It was not known for its music program (Quakers, at least back then, Saul says, seemed to value silence over music). But he learned from talented classmates and took music classes at the University of Pennsylvania and at Swarthmore and Bryn Mawr colleges. After graduating from Haverford, Saul met his one and only great music teacher: Dennis Sandole, a self-taught genius guitarist and composer who famously taught John Coltrane. "I didn't know that initially," Saul says of Sandole's relationship with the legendary saxophonist. "I probably would have been too intimidated to meet him if I did." Saul studied with Sandole for four years in Philadelphia before he and his wife, Sarah (now divorced), had children. "After that, I just couldn't give it the attention it merited," he explains. But Sandole had introduced Saul to other musicians in the area, so he played frequently and honed his skills. "It was a nice little music scene that I left for Vermont," Saul notes a little ruefully. His wife's grandparents lived in North Pomfret, so they had visited Vermont annually, staying longer each time. When Saul realized he wasn't going to be a renowned musician, he and Sarah decided to move to Woodstock full time. By then he had acquired a library science degree from Drexel University, and he enjoyed touring bookstores in new places, so he figured he'd open his own. Saul launched Pleasant Street Books in 1986 and ran it with his mother, who lived in the house in front of the shop, until she was 88. Pleasant Street Books sold antique books from the beginning, and also old coins, autographs and historical newspapers. For a few years, Saul became a successful baseball card dealer and sold valuable tobacco cards from the early 1900s. Then, about 1990, someone broke into his shop, smashed the glass cases holding his cards and made off with his entire inventory. "I just didn't revisit it after that," Saul says. "It was a real drag." Instead, he redoubled his efforts in antique books, learning that it was easier to sell a book that cost $1,000 than $100. Then came the internet revolution, a technological change Saul welcomed, as it basically allowed him to stay in business. Today, he lists some 8,000 books online, and their sale provides the bulk of his revenue. All along, Saul has also taught local kids how to play the piano. He began teaching children in Philadelphia, specializing in the 3- to 5-year-old set. Now, every week, he teaches 15 to 20 students of all ages on a white Yamaha piano that once belonged to jazz drummer Art Blakey. Saul's collaboration on Birdsong came about through the lessons he's been giving Sturm's daughter, Eva, for 10 years. Saul had never written music for a book before, but he relished the challenge and was glad he had only six weeks to come up with something. "I thought I could have given a year to it," he says, "and I didn't necessarily want to do that." He created a 30-minute performance that contains two freestanding songs and about 23 shorter pieces that add emotions and moods to the pages. Saul plays the tunes on the piano while Sturm operates the projector, flipping pages of the book in time with the music. The songs are by turns dark and deeply resonant, hopeful and jaunty. They are ambiguous in a way that stokes suspense about what might come next for the characters, who are on a mysterious journey of transformation. Saul is on his own journey, and, judging from his piano work on Birdsong, he'd do a damn fine job of putting it to music. 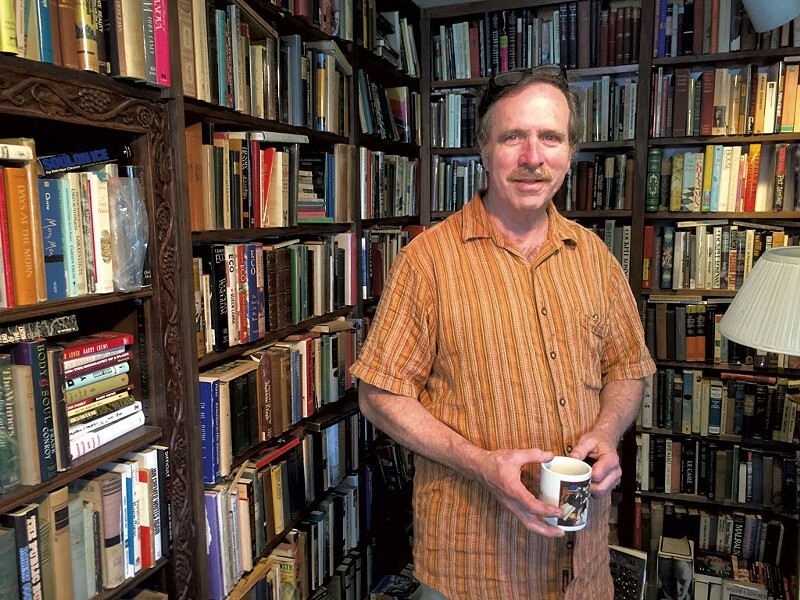 When Ron Miller talks about the Bookstock Literary Festival, which takes place in Woodstock July 29 to 31, he likes to frame it as a sort of bazaar displaying the "varieties of human experience." One glance at the lineup of presenters and events this year proves his point. There's Vermont filmmaker Bess O'Brien and writer Gary Lee Miller discussing opiate addiction and their organization, Writers for Recovery. Former Vermont chief justice and attorney general Jeffrey Amestoy will present his book Slavish Shore, about early abolitionist Richard Henry Dana Jr. Pulitzer Prize-winning Robin Gaby Fisher, whose most recent book is about the Sandy Hook massacre, will reflect on writing stories about tragedy, redemption and hope. Filmmaker James Sadwith will screen his new film Coming Through the Rye, about his boyhood obsession with J.D. Salinger and the writer's coming-of-age novel The Catcher in the Rye. There are many more presentations by poets, fiction writers and memoirists, not to mention Cuban American keynote speaker Richard Blanco, whose writing spans multiple genres. Bookstock was first held in 2009 as an offshoot of the annual book-sale fundraiser organized by the North Universalist Chapel Society. Ron Miller moved to Woodstock five years ago, when he purchased the now-defunct Shiretown Books. He immediately became involved in putting on Bookstock and has coordinated the event since 2012. Now running for state representative, Miller was born and raised in the suburbs of Chicago, where his family ran a business. "I needed a bigger world, and I found it through books," he says of his youth. "And the way some people are really passionate about running marathons or rock climbing, I'm passionate about reading and ideas." While Miller is Bookstock's leader, he gives much credit for its annual success to the 14-person volunteer planning committee, which includes members from various local organizations such as the Woodstock History Center and ArtisTree Community Arts Center & Gallery. One committee member is award-winning poet Partridge "Buzz" Boswell, who tapped his artistic network to attract such poet luminaries as Chard deNiord, the current poet laureate of Vermont, and Ellen Bryant Voigt, who held that post from 1999 to 2003. In addition to a reading of his work, deNiord, a resident of Westminster West, will give a poetry workshop focusing on the discovery of the self within the other. For fans of more spontaneous and whimsical poetry, Vermont's reigning poetry slam champ, Geoff Hewitt, is hosting an "anything goes" poetry jam. Howard Frank Mosher is arguably the best known writer at Bookstock this year. He'll read from his new novel, God's Kingdom, and talk about the real-life sources of his fiction. Other highlights include Nathalia Holt, the author of Rise of the Rocket Girls: The Women Who Propelled Us, From Missiles to the Moon to Mars; Harvey Amani Whitfield, an associate professor of history at the University of Vermont, who will discuss his research on the black population in Atlantic Canada and New England; and Barbara Hurd, who will lead a nature-writing workshop in the Marsh-Billings-Rockefeller National Historical Park. Now in its eighth year, Bookstock has become a fixture on the Vermont literary calendar, and most presentations are usually close to full capacity. People have suggested to Miller that he grow the event into something bigger, but he's happy with its relatively small scale. He recalls poet Billy Collins' presentation at Bookstock a few years ago, in the Town Hall Theatre, which holds about 380 people. "What if 2,000 people showed up?" Miller remembers thinking. "We were concerned there would be a poetry riot. It drove home the fact that we have inherent limitations. We can't make this into a spectacularly huge event." The original print version of this article was headlined "Analog Advocate"